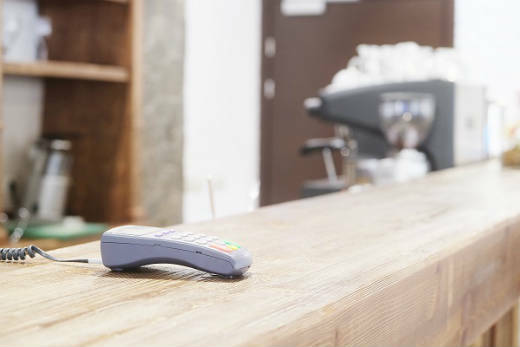 Would your business benefit from being able to accept credit and debit cards in your store? Do you need to take card payments online? Do you wish to accept orders by mail order and over the telephone? Or do you already use a payment service such as PayPal and you would prefer a more professional solution to online payments? If the answer to any of these is yes, then your best solution is likely to be a merchant account. These are the main reasons for having a merchant account, but there are other reasons too which we will look at in this guide. First we will define exactly what is meant by a merchant account and discuss the different kinds of merchant accounts that are available. 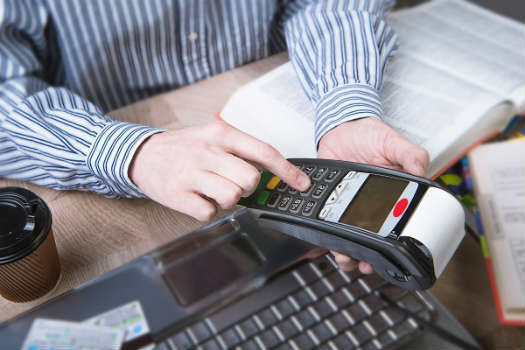 We will then look at what a merchant account can do for your business and why different kinds of merchant accounts are more suitable for smaller businesses and larger business sizes. If you are interested in finding out more about the merchant accounts that are on offer, simply continue reading this page. If, however, you would like to start comparing quotes from top UK companies today, simply complete the form at the top of this page. Comparing quotes with Approved Index is free, quick and easy, and it could save you as much as 40% on your service costs. Approved Index compare Merchant Account providers to find the best fit for your business. A merchant account is a kind of business bank account that can accept credit and debit card payments. When your business processes a card payment, after the payment has been authorised the money is transferred from your customer’s card account to your merchant account. The money remains in your merchant account for a time period that can vary from one or two days up to several days, or possibly even weeks, until your merchant account provider is satisfied the transaction wasn’t fraudulent. After that period, the money is transferred to (settled in) your ordinary business bank account from where you can access it. Approved Index's merchant services quote comparison service helps businesses of all sizes to compare the options available to them in the world of credit and debit card payments. Whatever type of industry you work in and whatever product or service you offer, if you want to begin processing card payments, then comparing quotes with Approved Index is a great place to start. Although merchant services are varied in their functionality, they generally provide businesses with the ability to upscale their financial systems. This means that they can not only process payments quicker and easier, but it also means that financial planning in general will likely become considerably more manageable. Nine banks, often called ‘acquiring banks,’ currently offer merchant services in the UK. They require certain information to decide whether or not to give you a merchant bank account, along with the terms under which it will operate. To complete your application, you may be asked to provide your current or projected turnover, list of business accounts, average transaction value, transaction frequency, type of product or service offerings, amount of time that expires from when payment is taken and when an order is delivered, percentage of transactions taken by card, how products or services are delivered, and/or a reference from a current supplier. It takes one to four weeks to open a merchant bank account. You’ll be considered on a risk basis and the terms you’re offered will reflect the risks involved in giving you one. Once risk assessment’s done, banks will issue terms under which you’ll get their services. You'll be given a merchant number and most established businesses get funds within 3 days from when card payments were processed. For new accounts, usually deemed high risk, this may be extended to 30 days. Individual transaction costs may also be higher for non-established businesses. Building up a trading history or depositing a security amount that’s retained for a certain period of time can give you more favourable terms though. Start early. You don’t want your business to be in a situation where customers want to pay but can’t. It doesn’t cost much to get a merchant bank account as soon as you can, especially since banks can be slow in processing applications. The more, the merrier. If you’re a newbie, a bank can dictate all the terms of your agreement, ask you for money upfront, or impose ridiculous charges. Though applying to more than one bank may take more time and effort, it gives you bargaining power. Plus, it’s always best to have a backup anyway in case something goes wrong. It pays to exaggerate. When talking to banks, convince them that you can bring in significant revenue. Don’t lie though. You still need to justify your numbers. Your projected volume will influence how big a cut they ask for. Once negotiations are done, it’s very unlikely for agreements to change. Know all about fraud. Banks still think online businesses are risky. You need to convince them that you know all about online fraud and that you’ve covered all your bases so you won’t be a victim. Be serious. The last thing any bank wants is a customer who’ll make costly mistakes like getting defrauded and finally goes broke. Read the fine print and negotiate. Banks often present complex charges that you may not be able to compare with other offers. Make sure you understand all of their terms before signing anything and remember that everything is negotiable. No matter which bank you open a merchant account with, that account will be completely unique to your business. While various merchant account providers exist, no two merchant account numbers will ever be the same. Banks and credit card providers that process card transactions on behalf of your business identify you via your merchant number, also known as your ‘merchant account ID’. Wherever your business is located or whatever services or products you offer, it’s the only way banks and credit card providers identify you. E-commerce these days vastly involves credit card purchases. As more and more consumers turn to e-commerce versus traditional forms of purchasing worldwide, accepting credit cards for payment has become vital to sustaining global businesses. To be able to accept credit card payments, merchants need to apply for special accounts with acquiring banks. Once established, the acquiring bank can begin accepting funds from card holders every time they purchase from a merchant account holder. The money in this process goes from the bank that issued the credit card to the acquiring bank then to your merchant account. To get your unique merchant number, apply to a bank and satisfy requests of proof to show you are trustworthy. Remember that you need to provide at least two years of audited accounts and show a proven track record of success. Even if you get approval for merchant status and a unique merchant number though, these only apply to a physical location. 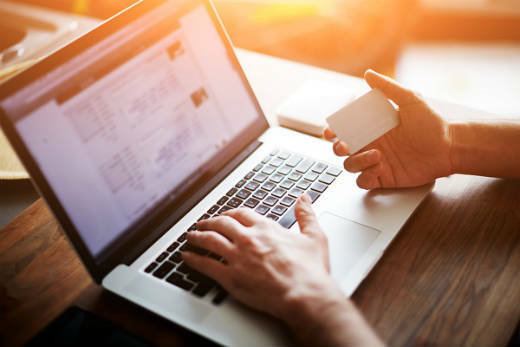 If you plan to set up a website and accept credit cards via the Internet, you can take a variety of other paths to gain online merchant status. Get a New Merchant Number and Account Today. There are different kinds of merchant accounts depending on how you plan to be taking card payments from your customers. Non-Profit Merchant Accounts – These accounts are largely funded by online donations, for charities and other organisations that require funding. Charity shops can also be a fantastic way to increment funds. Internet merchant accounts – This is used to accept online card payments for example within an e-commerce online store. Internet payments are processed through a “payment gateway” which places the funds in your IMA until they are settled. An online merchant services provider will provide such a gateway at a fixed price or roll the cost into that of the merchant account. PDQ Machine Accounts (Card Holder Present) – this is a merchant account that accepts card payments taken from a credit or debit card when the card holder is present at the point of sale. These are also referred to as face to face payments. Such payments are processed using a Chip and PIN machine, also called a PDQ - which stands for Process Data Quickly. Such a terminal can be hand held, integrated into a cash register, portable or mobile. Terminals can be bought outright or rented. The technology and software is updated from time to time, the cost of which is normally incorporated into rental deals. Mail order and telephone order (MOTO) merchant account – With this you can accept payments by mail, e-mail, fax or over the telephone. If you have a CP merchant account you can process these payments using a PDQ machine; otherwise you can process them online using a virtual terminal that is hosted by your payment processor. Such payments can be processed through a browser from anywhere you have an internet connection. Which Merchant Account Type Is Right For Your Business? There are different kinds of merchant accounts with some being more suitable for small businesses and start-ups and others more suitable for large established businesses with substantial credit and debit card turnover. Here are some of the main kinds of merchant account providers and the business sectors that they tend to be best for. High Street Banks, such as HSBC or Halifax will provide selected customers with merchant accounts. These are generally provided in partnership with a specialist payment processor. These kinds of merchant account are generally more favourable for larger businesses which are able to negotiate lower fees. It is unlikely that they will be provided to start-ups or merchants without an acceptable trading history and business plan. Specialist providers – these businesses specialise in merchant accounts and payment processing solutions. They include businesses such as SagePay, Payment Sense, WorldPay, and IMS; there are many to choose from in the UK. While they are used by many large businesses and corporate, they are also used by smaller businesses. High Risk Merchant Account Providers – These are specialist providers that work with merchants that are considered to be high risk because they operate in sectors such as travel, dating, gambling and adult where charge-backs and credit card fraud are more prevalent. They are used by business of all sizes within these sectors. Processing charges can be considerably higher. Payment service providers – it isn’t always necessary to have a merchant account to process debit and credit cards. Payment service providers such as PayPal allow anyone who has a valid credit card for identity verification to accept card payments. Once the transaction has been authorised the revenue is credited to an online account where it can be accessed by the merchant and transferred to a bank account or used to make online or debit card purchases. Such services tend to be more expensive than the conventional merchant accounts but provide a good option for micro-businesses that might otherwise have problems with a merchant account. Why should you accept card payments? More and more people now expect to pay for goods and services using cards, especially online. Think of your own preference and apply it to your business. When you shop, do you pay by cash, use cheques or pay by card? How can accepting card payments improve your business? First, people now expect to be able to pay by card so it wouldn’t be good to disappoint them. You get paid at the time of sale. You no longer have to hear stuff like ‘the cheque is in the post’ and you get the money within four working days. Think of the potential cost savings from holding less cash. You save on security because you no longer need someone to look after the money nor go to the bank to deposit your earnings. You can also improve your cash flow with less financial support such as using overdrafts or getting loans. It would also be easier to sell even to customers who don’t have enough cash on hand, not to mention the fact that it’s quicker to accept card payments than process cheques. This also guarantees payment because customers can’t claim they didn’t initiate transactions. What’s more, you know exactly how much transactions will cost to process, which helps when putting together your business plan. Finally, acquirers are always there to help you accept card payments. They provide a wide range of card payment solutions that match your business’s growth aspirations. Start taking card payments today! As we have shown, different kinds of business require different kinds of merchant accounts; Approved Index will guide you through the process of matching with the suitable provider at competitive rates based on your business requirements. When assessing your provider options, these are some of the important factors to look out for. Recurring and processing costs – as mentioned above, charges vary considerably and depend on both your business and the charging models used by the supplier. You should look at any initial charges and recurring payments; processing charges for main and specialist credit cards; and debit card charges which can vary from a few pence through to a few percent. Chargeback fees – if a payment is reversed, for instance if it is made using a stolen credit card or the transaction is cancelled by the card-holder’s issuing bank, the funds are returned to the card holder’s bank. When this happens your business will be charged an additional fee called a chargeback fee; such fees can be expensive. Settlement period – as stated this is the time delay between your customer making the purchase and the funds being accessible to you. This can vary from a day or so through to several weeks. Long settlement times could impact on your cash flow, so you need to be careful. Deposits – some merchant account providers require a retained deposit, and such deposits can be considerable, possibly as high as 10% of turnover each month for the first six months. That is a considerable length of time not to be able to access your funds. Hardware – does your provider have the right kind of PDQ machines for your business? For instance, if you take payments on the go, can you use a mobile GPRS machine or a smartphone? PCI DSS Compliance – if you are taking payments online does the provider require you to have PCI DSS certification or does it have a hosted payment page that avoids the need? Customer Service – does your provider have a 24/7 UK based helpline? It can make all the difference if you need to resolve a problem in a hurry. It is difficult to imagine that any UK based business that trades either online or in person can continue to exist without a merchant account. If you refuse to accept card payment from your customers they will simply take their trade elsewhere. Card processing charges - this is the most expensive item and is highly variable. Credit card processing could range from typically 1.9% through to 3.5% of the transaction value for major credit cards; special reward cards might cost considerably more, and debit cards considerably less. Approved Index aims to make it as easy and as straightforward as possible to compare quotes from several leading merchant account providers. Simply fill out one quick form to receive up to 4 free quotes from UK merchant services companies today with no obligation to buy. So whether you're getting a merchant account for the first time or looking for a better deal than you're currently getting, use Approved Index's service to save time and money.